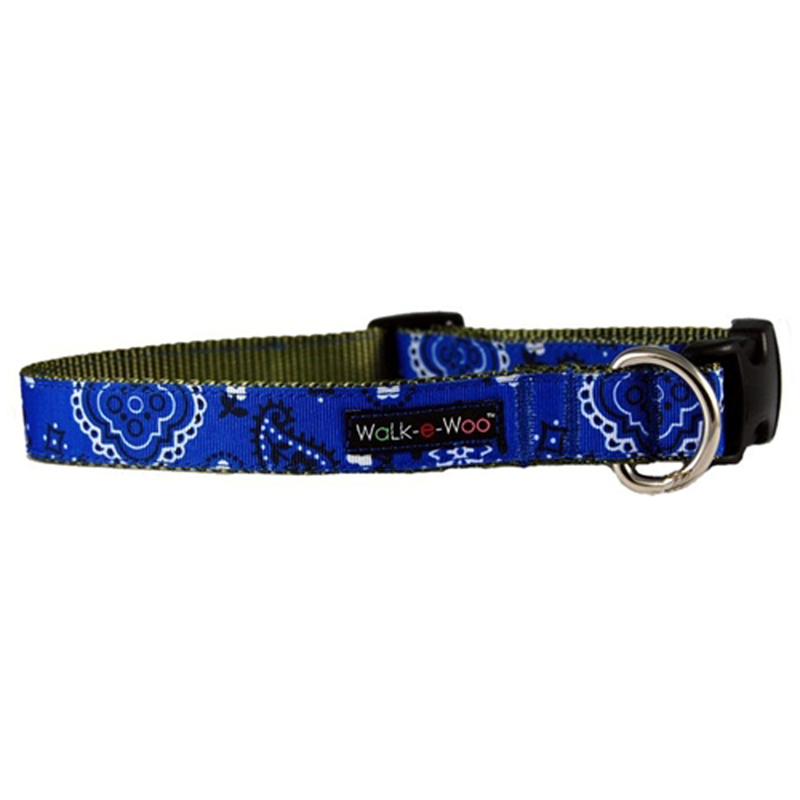 Walk with a classic look of the WaLk-e-Woo Bandana Dog Collar in Blue! This classic design that has stood the test of time. This friendly design is printed on 100% polyester grosgrain ribbon and then stitched onto webbing. Every collar is made by our neighbors right here in Colorado! 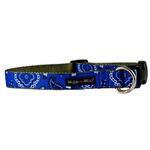 This collar for dogs features an exclusive design printed on super tough, fade-resistant, recycled poly/canvas. Each collar has a comfy, contoured, quick-release buckle with extra-reinforced nylon stitching. Your fun-loving pup will drool all over this stylish collar! Posted On 01/07/16 by Susan G from West Lawn, PA Yes, Susan G recommends this product! Jordie looks cute in her blue bandana collar that matches her brother's red one. As a bichipoo, a narrow collar is more preferable than a thick one so this is perfect for her small neck. Easy to navigate. Plenty of search options. Pet shopping made fun.